Top marks: OLR principal Dr Michael Stewart and students Heidi McDonald, Indi Bruce, and Mark Polon celebrate their NAPLAN results. OUR Lady of the Rosary Primary School at Caloundra has been named one of Australia’s top performers in the 2017 NAPLAN literacy and numeracy tests. The release of NAPLAN 2017 data from the Australian Curriculum Assessment and Reporting Authority (ACARA) identified those individual schools across Australia that demonstrated substantially above-average improvement as students progressed from Year 3 to Year 5 or from Year 7 to Year 9. 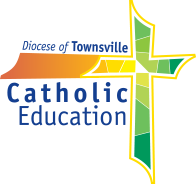 Our Lady of the Rosary School was one of the top Queensland schools featured in the ACARA list, with its students’ results recognised as some of the best improvements for the year. ACARA’s comparative figures showed a major leap in performance in reading for current Year 5 students. In Year 3 in 2015, the mean score of OLR students was 420. By the time the same students reached in Year 5 last year, they boosted their mean score to 539 – a lift which was one of the biggest in Australia and which puts them well above the Australian average (a mean score of about 500). Similar improvements were recorded in writing and numeracy, where the OLR students jumped from Band 4 to Band 6 scores in both disciplines, again recording scores well above the Australian average. Principal Dr Michael Stewart attributed the results to the caring, positive culture of the school and a focus on the essential elements of literacy and numeracy. “Our staff have a strong commitment to the wellbeing of each child,” he said. “Our first goal is that the children enjoy learning and love coming to school. Dr Stewart warned against teachers teaching towards the actual tests; instead he recommended for schools to focus on staff and student wellbeing and developing a positive learning culture. “All schools can improve when they are united in creating optimum learning environments,” he said. 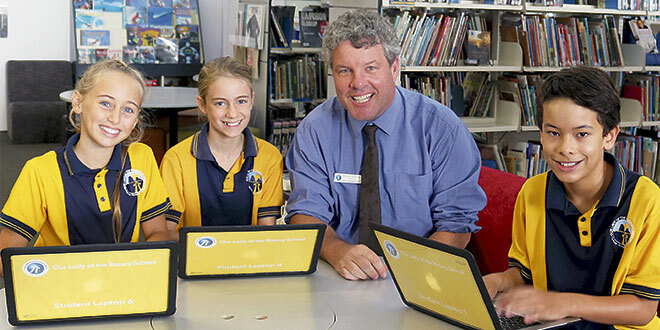 Other Sunshine Coast schools which made the list of the nation’s most improved NAPLAN performance were St Joseph’s Primary School, Nambour, Palmwoods State School and Noosa Christian College.